We are a creative marketing firm. 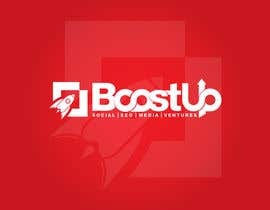 We focus on SEO, social media, development, marketing strategies and campaigns, etc. We have no website at this time. This will be made after the contest is over. We have no color preference. Please do not use the color green. We are a fun, professional, young and creative company. We want these designs to reflect who we are and our core values. We want the logo to be unique, and exciting. Our customers should remember our name and never forget seeing our logo. 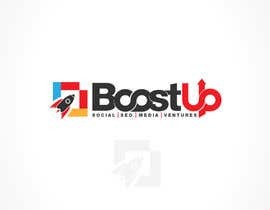 We require a logo, business card and social media banner for our company called "BoostUp"
The logo will be used for our main corporation as well as subdivisions of our main company. 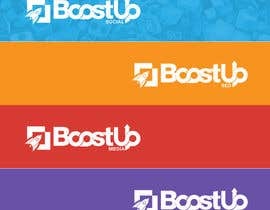 The main logo should only say "BoostUp". The subdivision logos should have the division name underneath. In total, we would like to see 5 logo submissions. 1 main logo, and 4 subdivisions using the main logo. PLEASE do not submit a logo with text and a plain emblem on top. We do not want to see any of that. We want to see a unique logo. I cannot stress this enough. 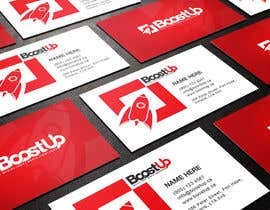 The business cards should be professional, modern and follow the guidelines of the template files i have attached from moo.com. 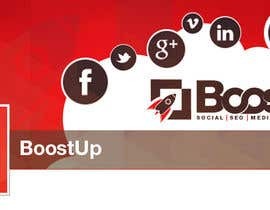 The social media banners should reflect the logo and business cards. They should be made to fit all different social networks so different sizes will need to be made. I will be leaving the contest unsealed because i want designers to pay attention to my ratings and feedback. Use this to your advantage. When submitting a design please explain why you chose to use this design and what makes it unique. Also explain why this logo fits our company image. #264 #265 #266 #267 . Thank you very much! Thank you. This is a very tough decision for me! You and Cbox have submitted some amazing entries. Please wait a while. i am designing your logo. Hi CH, please check #185, Thank you! Please check #98 & #100. Thank you. Please check my proposal #61 . Any change just ask. Hugs.